The Jubilee Hills Check Post station would open in may 2019, once the train reversal work is completed near HiTec City. 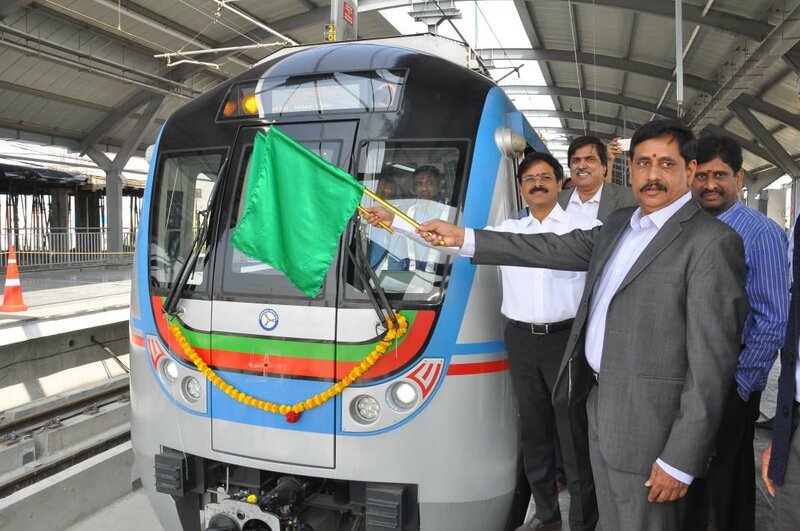 Hyderabad (Metro Rail News): The Hyderabad Metro Rail Limited (HMRL) Managing Director N.V.S. Reddy announced that Passengers can start using the Madhapur Metro Rail station from April 13, 2019. “Due to the absence of the reversal system in front of Cyber Towers and Trident Hotel beyond Hitec City, the trains were being currently run in twin single-line method between Hitec City and Jubilee Hills Check Post,” He said. He Said that the trains were brought to their respective up and down line directions by making use of the crossover line at Jubilee Hills Check Post. This arrangement will continue till the reversal facility is completed and normal train working is restored. HMRL also fixed the stall rent for the women’s exhibition at the Madhuranagar Taruni station that is meant to encourage women entrepreneurs at `15,000. The exhibition will run for 60 days and the date will be announced shortly. In the 81-sq ft stalls, entrepreneurs can sell women-centric consumer products along with goods which cater children needs. According HMRL MD N.V.S. Reddy, parking facility will be provided for 1,000 two wheelers and 60 cars. The exhibition will have a children’s play area, food courts, foolproof security in compliance with the fire safety norms. He stated that the HMRL will provide zinc sheets to cover three sides of the stall and fabric to cover the stall. Mr Reddy said HMRL will provide racks, counter table, tubelight, plug and socket faculties for all the stalls.